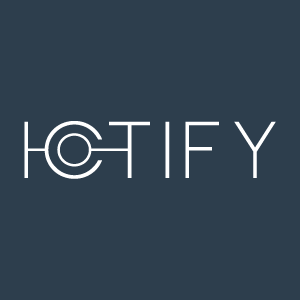 IoTIFY is on a mission to create the world's most advanced IoT simulators - empowering reliable, scalable and secure IoT solution deployment worldwide. Our cloud-based scalable simulations enable developers to quickly simulate realistic IoT deployment and start building their IoT cloud applications for a variety of use cases in the industrial, medical and smart city environment. To fuel our growth, we are hiring a passionate, talented and creative Cloud backend Specialist. Add new functionalities while maintaining our existing SaaS simulation framework and work on our future roadmap. Ensure high availability, reliability and seamless scalability for our infrastructure containing thousands of VMs spawned across multiple data centers globally. Develop RESTful microservice based architecture for our applications. Work directly with customers, UX engineers to create enthralling customer experience for complex use cases. Mitigate bottlenecks related to databases, networks, and CPU under congestion. We take exceptional pride in building the most efficient and scalable solutions. Provide traceability and nonstop monitoring and resilience of infrastructure. 5+ years experience with developing back-end/full stack application in production environment. Scripting and automation wizards who love to automate the repeatable process and love cloud-formation templates. Hands-on with Node.js and/or Python. Experience with Erlang/Scala would be a plus. Ability to think from scratch and reducing complexities in large scale applications. Experience working closely with the team for collaboratively solving design challenges and infrastructure problems. Understanding of Networking protocols, routing, TCP/IP, DNS and exposure to IoT protocols such as MQTT/CoAP. Passion for writing clean, elegant code that other people can read and appreciate. This is a unique opportunity to join an early stage well-funded startup which is creating and conquering a new market category - as one of the earliest hires. We offer a hierarchy-free, cohesive and fun loving working environment where we focus on building the future while keeping a close eye on reality. Our vision is to bring IoT to masses by making it extremely easy to build, deploy and test IoT applications. We are one of those rare deep-tech startups where you would get an opportunity to work from the complete IoT stack - ranging from the hardware and sensors to the cloud and analytics. Our offices are based in the beautiful serenity of Neuhausen, Switzerland - close to Rheinfall - Europe's largest waterfall. We are open to hiring deserving candidates from remote locations and allow flexible work timings, including work from home. The position may require occasional travels across Europe and the USA.